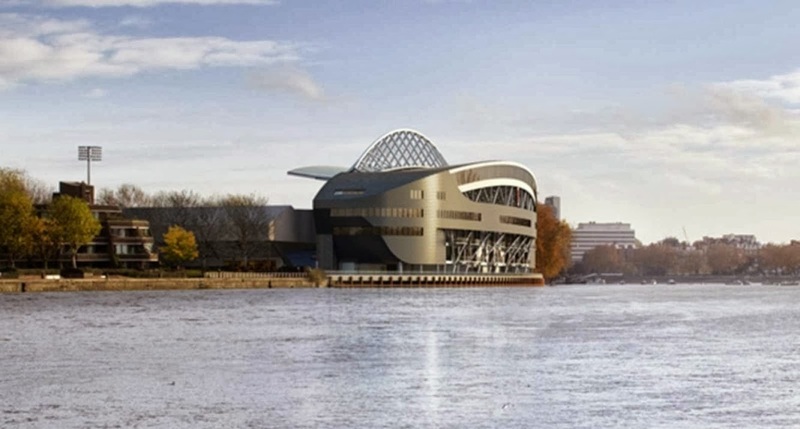 Fulham Football Club is delighted to announce that, following a planning hearing at London Borough of Hammersmith and Fulham on Thursday 26 July 2012, the Club’s plans to redevelop the Riverside Stand at its Craven Cottage Stadium have been approved. 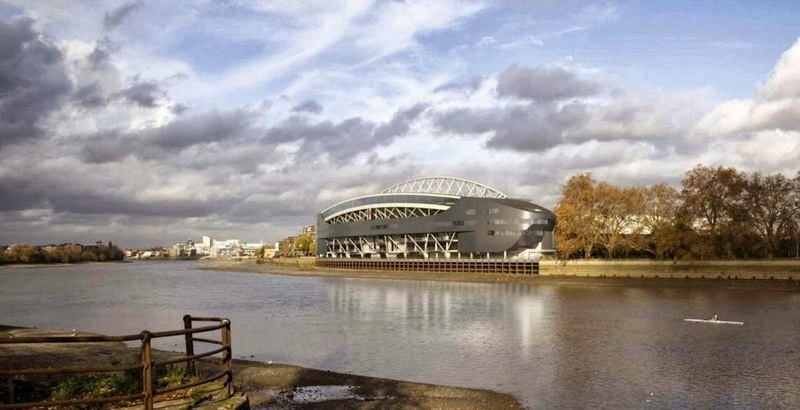 The plans include extensive refurbishment to the Riverside Stand of the Club’s historic Craven Cottage home to increase the ground’s capacity to 30,000, and enhance the matchday facilities for fans. A major benefit to the community will be the opening of the riverside walk from Putney to Hammersmith for the first time in recent history. 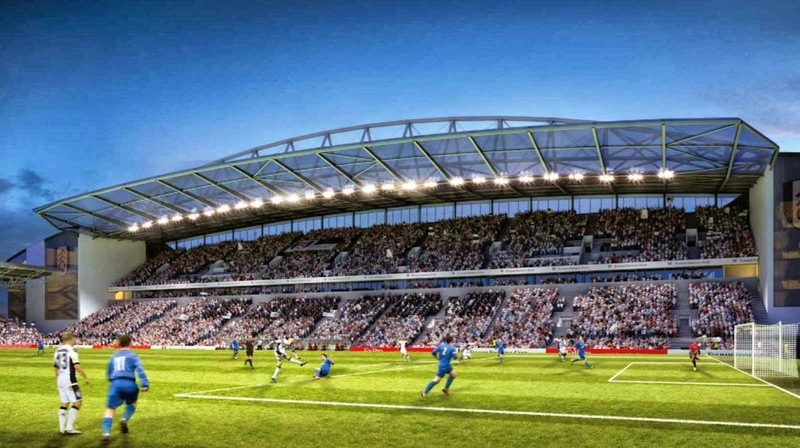 “The proposed Riverside Stand expansion will be a flagship development for Fulham Fc and will increase the capacity of Craven Cottage to 30,000, improve the range and quality of offer to spectators and maintain the unique atmosphere of the ground. 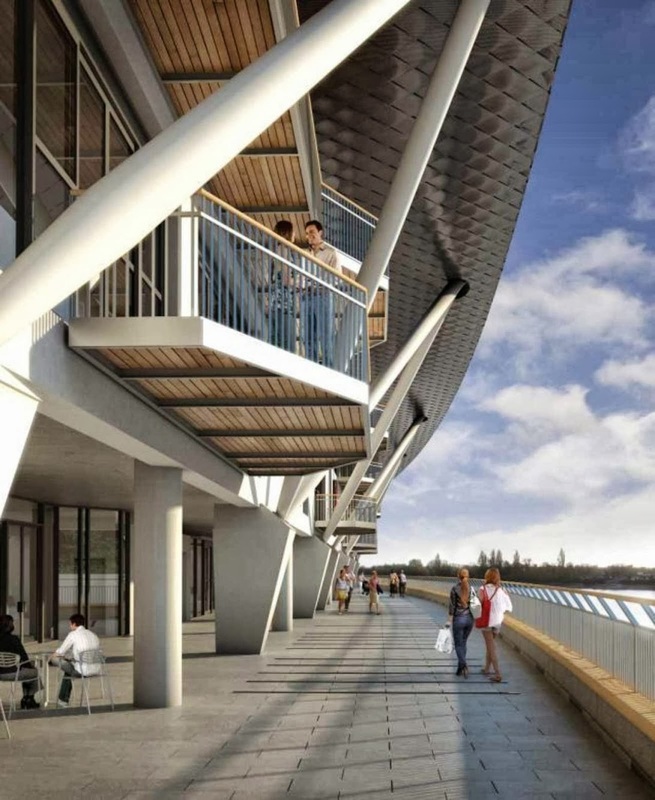 The new facilities will take advantage of the excellent river views, and the architectural solution is appropriate to the prominent river location, responds to the sensitive site context and minimizes encroachment into the Thames foreshore” says the Kss architects. 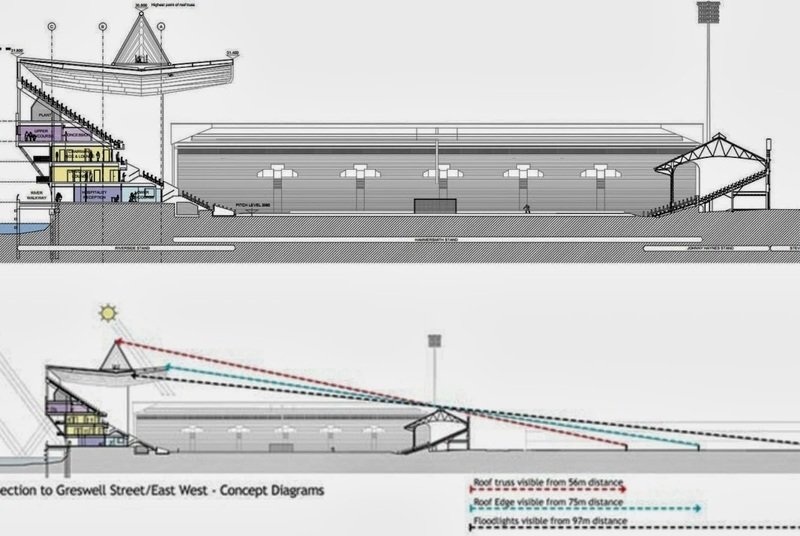 New stand to provide facilities for community and other uses on non-matchday. Like all modern buildings, the stand will be highly environmentally sustainable. 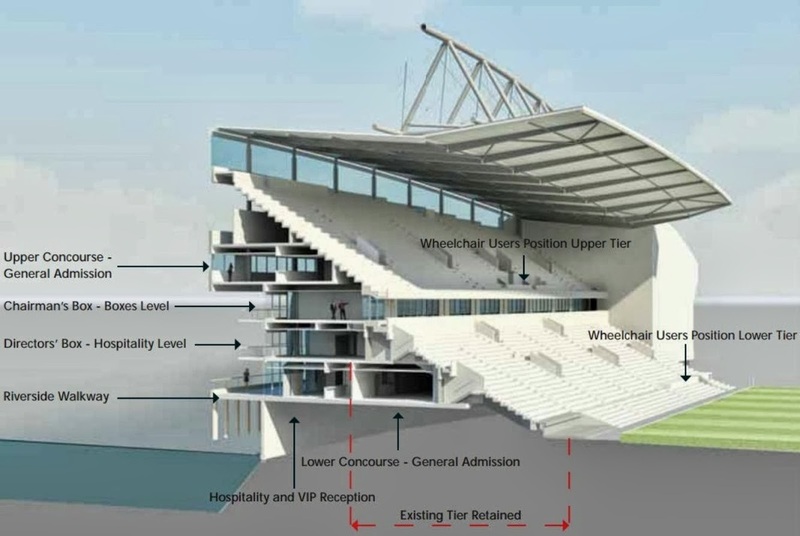 the entire lower tier will be retained (and used during the building works), whilst a central gutter beneath the main roof trust will allow the collection of rainwater into two tanks, which then can be used for pitch irrigation. 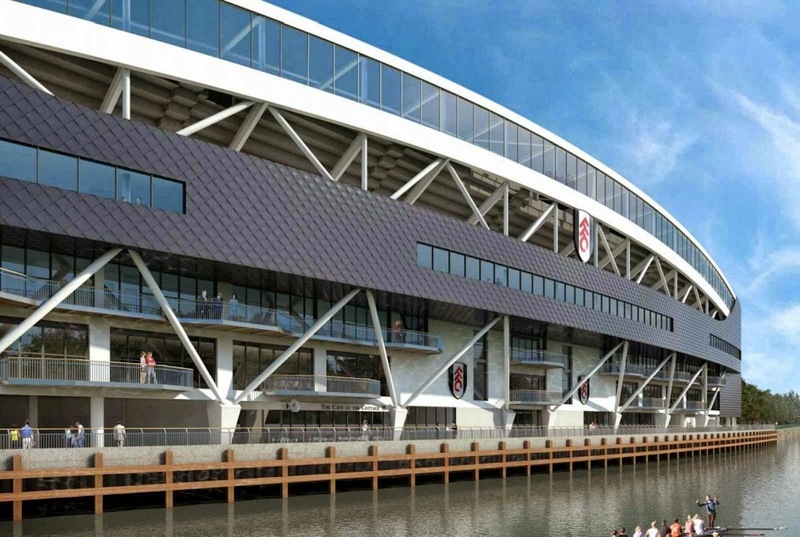 Although Fulham haven't confirmed any of the following sustainable plans, they have been "recommended for further consideration", so they could well be seen: they include the provision of wind turbines on the stand's roof, and the implementation of two solar panels on either side of the roof. Perhaps more of a novelty, the environmental plan also "recommended" a ground source heat pump. 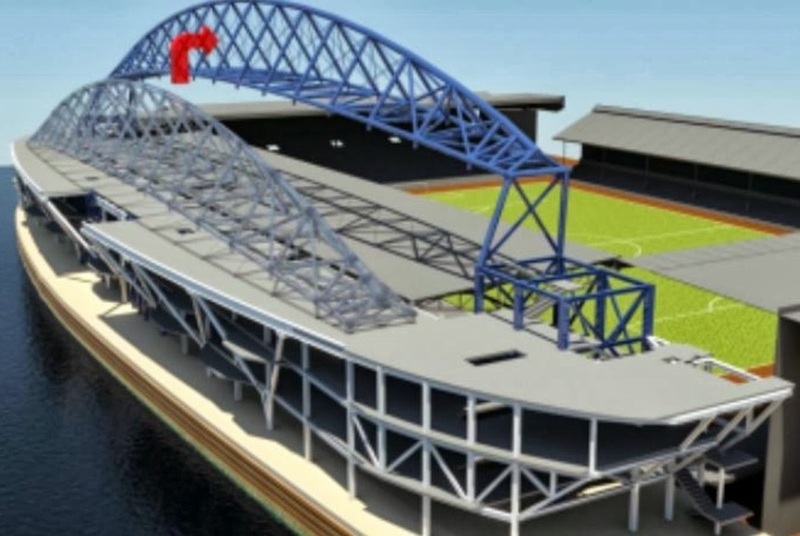 The materials to build the new stand will be arriving by barge, naturally, on a specially constructed platform to minimise noise and traffic in the surrounding roads. All the new fixtures and fittings will be low-energy and sustainable, and up to the standards of 100's of different standard guides, and so it is pleasing to see that the stand could become, in theory, partly self-running. 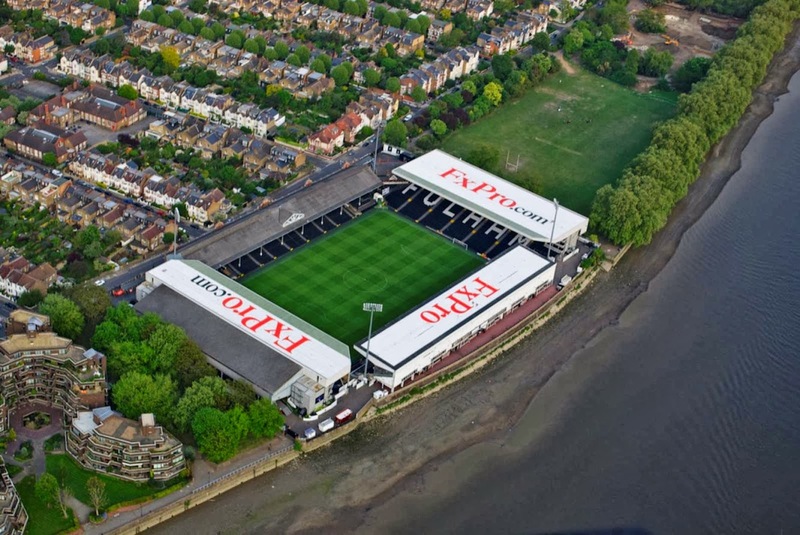 A start date is yet to be set for construction but Fulham will continue to play at Craven Cottage while work is carried out.